Portsdean Technical Supplies & Services limited offer a fully managed boiler service scheme for our customers. Portsdean have a digital database that keeps track of all the boilers that we service and maintain for our customers. In order to keep your boiler in tiptop condition and ensure that it is working at its most efficient boiler manufacturers recommend that gas boilers are serviced on an annual basis. Portsdean take the headache out of remembering when you're boiler service is due for service by offering a full managed system. We will contact you each year and send a gentle reminder that your boiler service is due. Our studies have shown that maintaining your boiler regularly, cuts back on unplanned callouts to deal with faults. 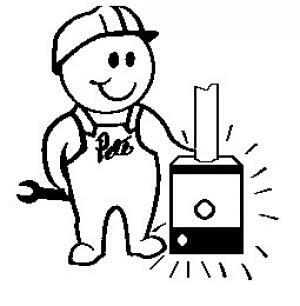 If you are interested in our maintenance programs, please contact our reception and we will send out an engineer to carry out an inspection and ensure your boiler is working as the manufacturer intended it to be. Through a continuous programme of update training with most major manufacturers of gas boilers in the UK we can offer a level of expertise to deal with any combination boiler breakdown and ensure that through our European contacts that you get the best possible value for money on the spare parts that are required to repair your boiler.